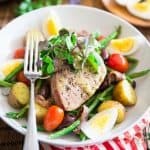 Nicoise Salad with a twist! This sheet pan version certainly brings an interesting twist to an already great classic.The best one I’ve had, for sure! 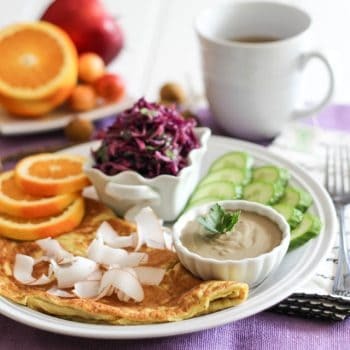 Boy do I have a winning recipe for you today! 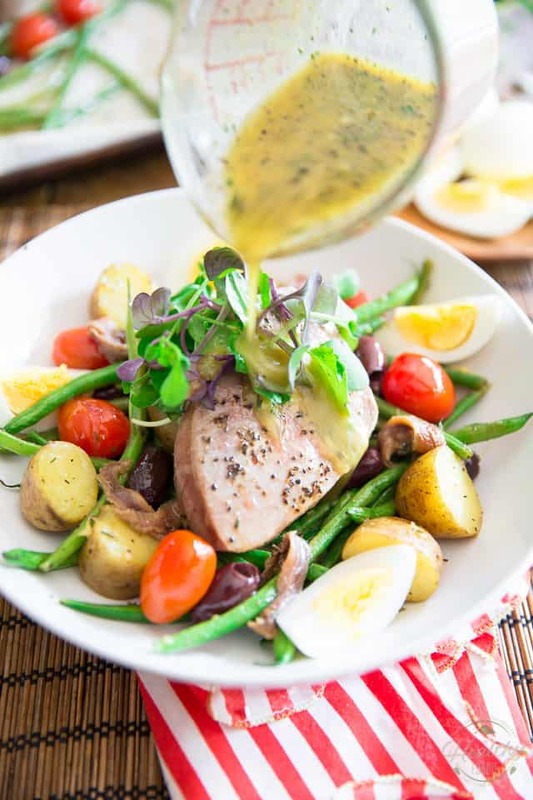 So crazy simple, but still, one of my all time favorites: Niçoise Salad with a twist! 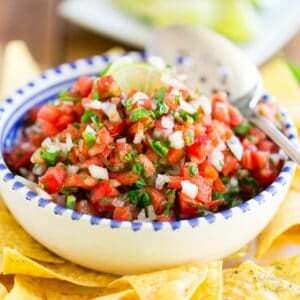 I’ve always been a huge fan of this classic salad, only it can be a little bit extensive to make. 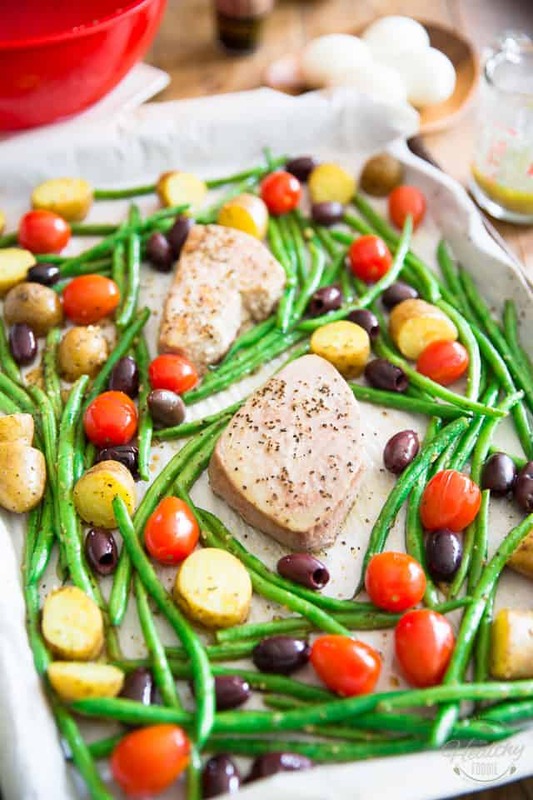 So I found a way to simplify things… I made it in a sheet pan! Mind you, I think I may have a slight obsession with sheet pans… I tend to make just about everything in a sheet pan since I discovered that technique. I’m so in love with it, I’m sure I’ll find a way to “sheet pan grill” stuff over the course of the summer. Sheet pan chicken kabobs, anyone? All joking aside, just wait until you try my “sheet panned” version of Niçoise Salad. It’s simply to die for! For this recipe, I cheated a little bit, in the sense that not everything was cooked exclusively on a baking sheet. Since potatoes they take a fairly long time to cook in the oven, I chose to blanch them a bit beforehand, to speed up the process. To do that, simply place your potatoes in a saucepan and cover them with salted water; bring that to a boil and cook until the potatoes are about half way done, 5 to 6 minutes. Drain and set aside to cool. And while the potatoes they’re cooking, prep your other ingredients and make the vinaigrette. Oh, and get a couple of hard-boiled eggs going, if you don’t already have some in the fridge… I strongly suggest you make extras, while you’re at it. Hard-boiled eggs are a thing that I like to have in the fridge at all times. They make for such a great snack, me finds. And now, your work is almost done! All that’s left to do is combine the blanched potatoes and green beans in a bowl, then add half of the vinaigrette to that bowl and toss to coat. 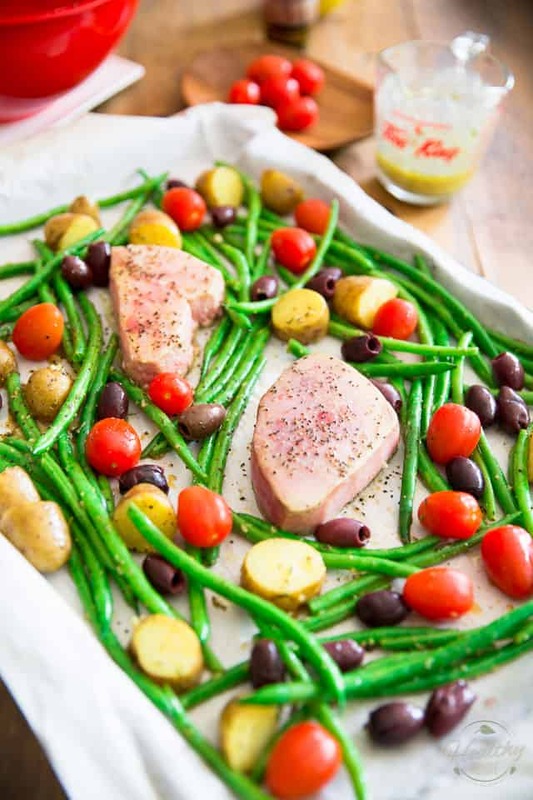 Nestle the tuna steak between the vegetables, drizzle them with a little bit of olive oil then sprinkle with salt and pepper. Return to the oven for another 5 minutes, just to warm up these tomatoes and olives and finish cooking that piece of fish. 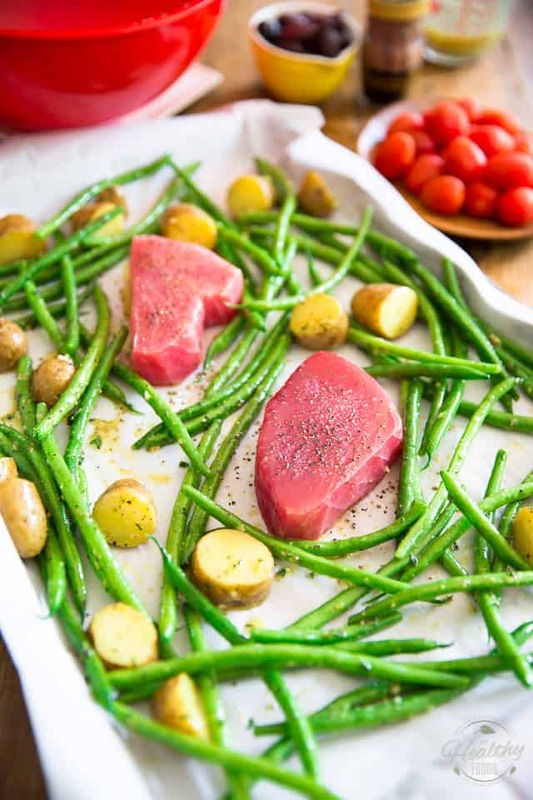 If you prefer your tuna more on the rare side, feel free to add it to the pan a little later in the process, too. There are no rules that say you can only remove that pan from the oven only once… You could add it at the same time as the tomatoes and olives, or a minute earlier. You’ll eventually get the hang of exactly how long you want to cook it for. 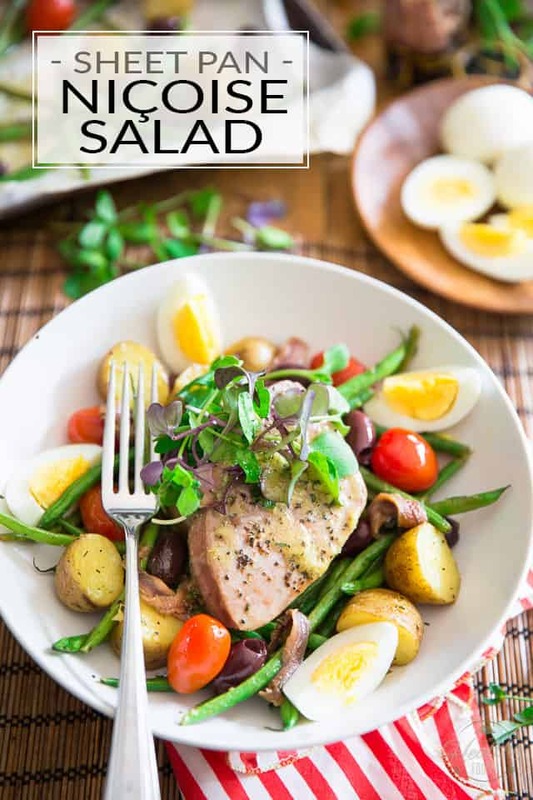 As a final step, divide the salad between 2 plates, garnish with the hard-boiled eggs, a few anchovy fillets and a handful of micro greens, then drizzle with some of the leftover vinaigrette. For the record, though, this salad is equally delicious served cold. 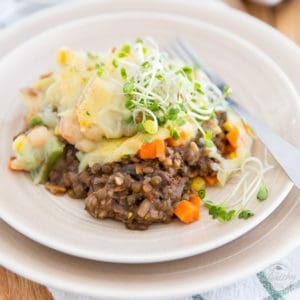 Throw any leftovers in a plastic container and make your co-workers extra ultra mega jealous the next day at lunchtime! 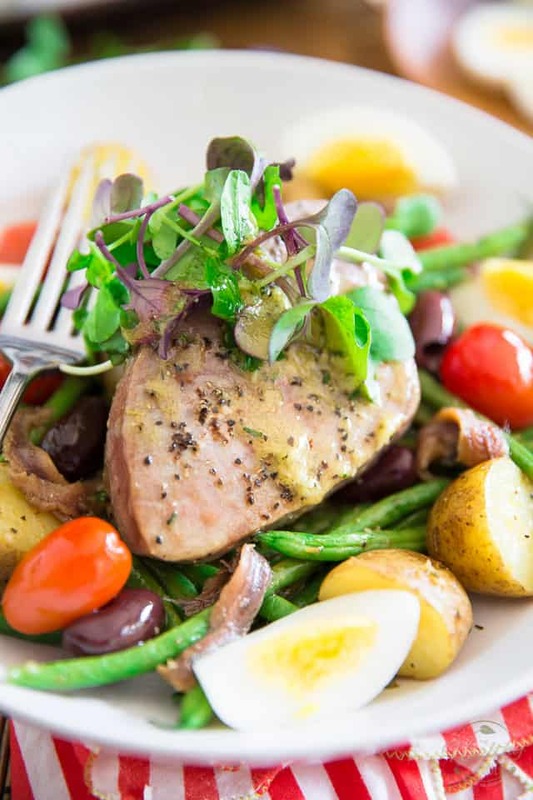 Nicoise Salad with a twist! 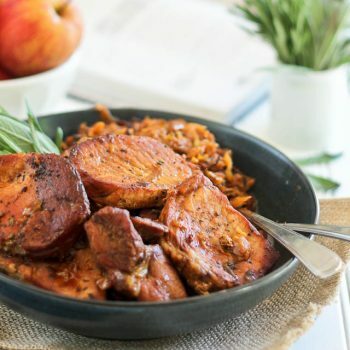 This sheet pan version certainly brings an interesting twist to an already great classic.The best one I've had, for sure! Place the potatoes in a saucepan and cover them with salted water; bring to a boil and cook until about half way done, 5 to 6 minutes. Drain and set aside to cool. 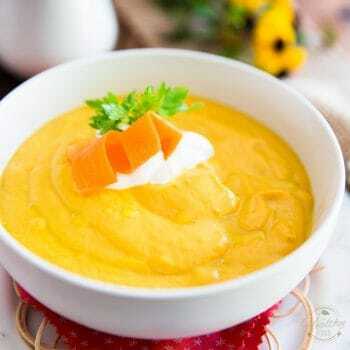 Meanwhile, make the vinaigrette: combine all the ingredients together in a glass measuring cup and whisk vigorously until well combined and slightly emulsified. 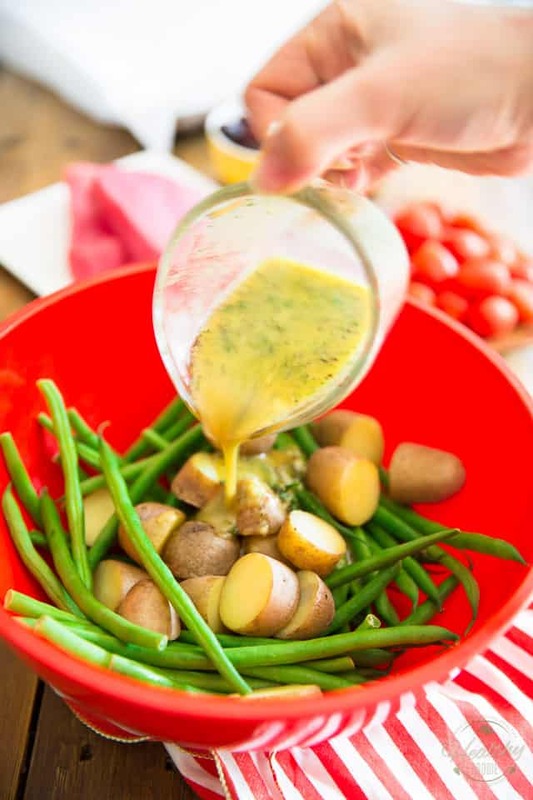 Combine the blanched potatoes and green beans in a bowl; add half the vinaigrette and toss to coat. 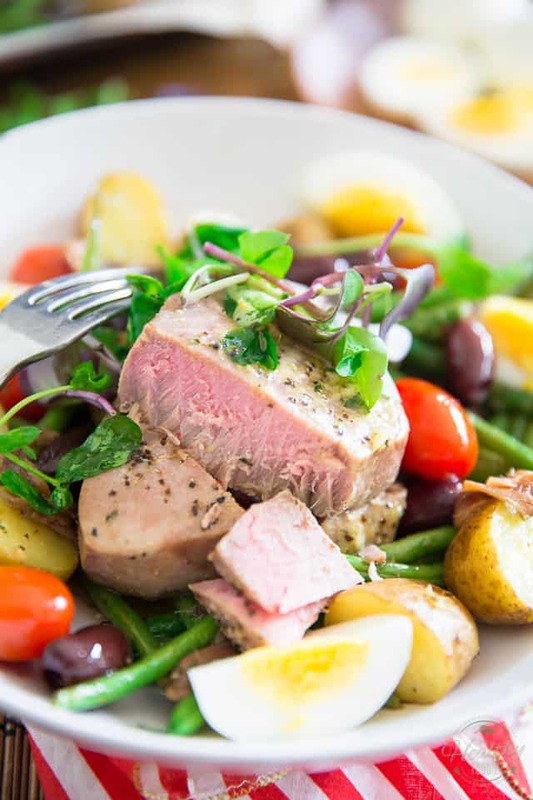 Nestle the tuna steak between the vegetables, drizzle with olive oil then sprinkle with salt and pepper. 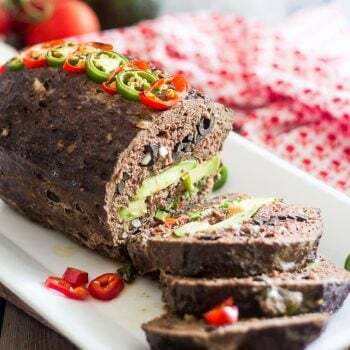 Cook in the preheated 450°F oven for 5 minutes, then add the tomatoes and olives and continue cooking for an extra 5 minutes. Divide between 2 plates, garnish with eggs, anchovy fillets and micro greens, then drizzle with leftover vinaigrette. This looks amazing! Thanks for sharing this. I’m definitely going to try and make this. You know what, turning your salad into a sheet pan meal is a brilliant idea. 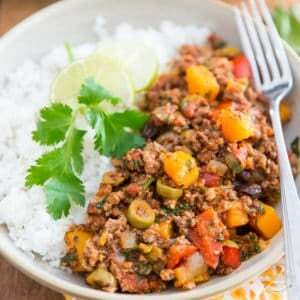 Easy yet delicious meals always get my attention. Thanks for this!